Speed up and level up your workout results at the comfort of your home. Bridge the gap between strength and cardio fitness routines with innovative indoor cycling training. 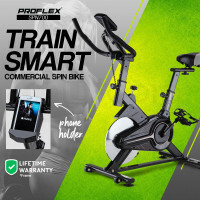 Proflex is gaining popularity in the fitness world and is proud to unveil an innovative line of gym-quality Spin Bikes that will surely assist you in building muscle faster and enhancing your resistance levels. Available in three models and colors, Proflex Spin Bikes are designed to be durable and to be used for a long time. Incorporated with a heavy stainless steel commercial flywheel as well as a modern belt/chain drive system, spin cyclers are rest assured to have a more realistic riding experience as compared to the other spin bikes available in the Aussie market. With the aim of supporting the fitness goals of every user, Proflex has equipped these bikes with superior and top-of-the-line features. Among these are the secure gripped pedals with toe straps, which were developed and specifically added by Proflex to boost cyclers’ fluid pedal motion. Extra-thick padded seat, adjustable seatpost and and variable grip handlebar are also incorporated to ensure that users are comfortable during workout. No worries that you will be cut off from your social media friends while enjoying your fitness routines. Living up to its goal of prioritising comfort and convenience for users, these state-of-the-art spin bikes are designed with a mobile phone holder so you can listen to your favourite tunes, view videos and even go online while staying fit. 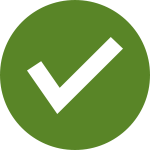 Reach your fitness goals in no time. Lessen negative mood disorders, improve joint mobility and enhance your cardiovascular fitness and coordination. Use Proflex Spin Bikes along with Treadmills, Exercise Bikes, Cross Trainers and Rowing Machines available at Mytopia. Purchase any of these fitness equipment and be in the best shape of your life!